More evidence of the trend towards a "flexitarian" diet has been revealed in the results of new market research. The research, which has been conducted by grocery analysts IGD, reveals that more than half of British consumers are either following or are interested in a flexitarian diet, which emphasises plant-based foods. The trend is even more marked amongst younger people, with 68 per cent of 18-24-year-olds drawn to a vegan, vegetarian or flexitarian diet. The findings reflect evidence from elsewhere. A recent report by AHDB looked at the rise of plant-based food products. "Increasingly, we see that for younger people especially, food has become the new rock and roll," said Susie Stannard, senior consumer insight analyst with SHDB, who produced the report. UK supermarkets have seen a significant rise in demand for vegan and vegetarian food. Tesco appointed chef Derek Sarno as its director of plant based innovation in 2017 and subsequently launched its 'Wicked Kitchen' line. It is now doubling the number of products in this vegan range. In June Sainsbury's became the first of the big retailers to sell plant-based meat in the same aisle as traditional meat. A burger and mince made by Danish brand Naturli' Foods appear in the chain's meat aisle. Waitrose has a dedicated vegan section in stores. It has launched its own brand vegan products, saying there has been an 85 percent spike in the sale of vegan and vegetarian foods. Frozen food specialist Iceland has a meat-free cabinet in its stores. The trend has even made prime time television. The Great British Bake Off aired a vegan episode during this year's series. 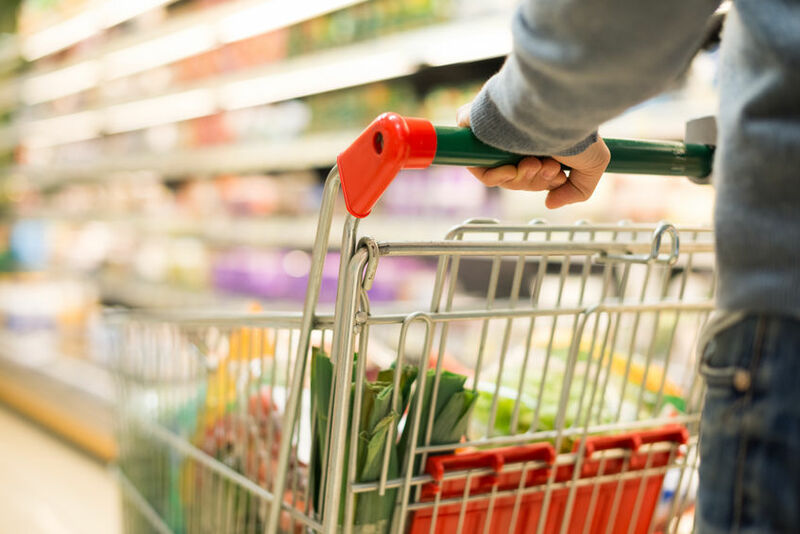 The IGD research highlights the shifting trend amongst food shoppers. Some 52 per cent of those who took part in the research - 68 per cent of 18 to 24-year-olds - said that they either followed or were interested in a plant-based diet. Amongst the 18 to 24-year-olds, 30 per cent said they followed or were considering following a vegan diet. The study found that loyal vegans were still relatively niche – only two per cent of British grocery shoppers claimed to follow a vegan diet all of the time. Health and ethics were the main motivators for adopting a plant-based diet, the research found. Some 45 per cent of British grocery shoppers claimed they were following or considering a plant-based diet because it was healthier; 41 per cent claimed they followed or were considering following a plant-based diet for ethical reasons; 30 per cent said it was because it was better for the environment; 21 per cent followed a plant-based diet or would do so to lose weight or look better. Vanessa Henry, shopper insight manager at IGD, said: “We are seeing an increasing number of people adopting a more flexible approach to their diets, whether it’s just for one meal or one day a week, shoppers are increasingly choosing a vegan, vegetarian or flexitarian diet. “This is for a variety of reasons; the aspiration to be healthier, to adopt more ethical credentials and also to limit the impact on the environment. Some shoppers also claim it helps them reduce their overall food bill. “This suggests plant-based products being launched on the market now won’t just be confined to the two per cent of shoppers who identify more regularly with veganism. They will appeal to a much broader group of shoppers. Ms Henry added: “From our data we can see that younger shoppers are more likely to follow or consider a plant-based diet, which is no surprise given they are the most socially engaged group. “With the rise in celebrities and health influencers sharing recipes and tips online, as well as the growing popularity of movements such as Veganuary and meat-free Mondays, the interest from this group suggests the trend could continue to grow as plant-based products become more mainstream,” she said. Susie Stannard said that, although there was growing interest in veganism, the actual numbers on a vegan diet were still quite low. "But over time more people who eat meat say they are reducing their red meat consumption for health reasons. We can term these meat reducers are flexitarians, as they are more flexible in their diet," she said. "More food is chosen for health reasons than ever before. Because of this, one in three evening meals are now actually meat free. In response to this, food manufacturers and retailers are looking for opportunities to tap into this trend." She said the developing market could be broken down into a number of key areas. "First, plant-based ready meals such as Tesco's Wicked Kitchen are marketed as a healthier version of traditional ready meals, being plant based with lots of fresh vegetables. "Secondly, the dairy alternatives market has continued to see double digit growth, driven my new entrants to the market such as oats, coconut and almond, whilst more established soya milk remains static. Only 22 per cent of this consumption comes from vegetarians. Most buyers buy these products alongside real dairy." She said some plant-based meat alternatives had created headlines with the use of a technology that enabled the products to "bleed." But the product that had attracted investors was cell cultured meat that was grown in a lab. "Cell-based meat is the one that has set the investment world ablaze. High profile investors such as Bill Gates and Richard Branson are investing heavily. And even meat processors such as Tyson Foods are getting in on the act. "These products promise all the taste of meat with no welfare concerns, much lower carbon footprint and reduce the industry's reliance on antibiotics. "As yet, production is small scale and there are several technical problems to overcome, but we are likely to see costs coming down radically in the next few years." IGD said its research showed that younger people were more likely than the average shopper to be motivated by ethical reasons (51 per cent), environmental concerns (48 per cent) and to lose weight or look good (25 per cent). Some 22 per cent of grocery shoppers overall were interested in experimenting with different vegan recipes; 16 per cent were interested in baking vegan desserts and cakes; 22 per cent would like more recipe ideas for vegan meals in supermarkets; and 22 per cent would like a greater choice of more convenient vegan options, such as ready meals.